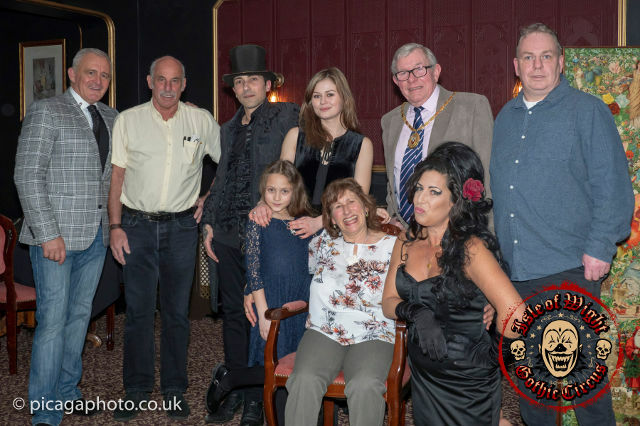 A whopping £1,600+ was raised at the Nightingale Hotel at the weekend as Amy Winehouse tribute act, Laura J Butler, performed to two packed audiences at the distinctive and eye-catching Shanklin Hotel. Over £1,600 was raised by those attending two charity events at the Nightingale Hotel in Shanklin last weekend. The hotel saw Laura J Butler – described as simply the most authentic and best Amy Winehouse Tribute available today – performing charity concerts on not only Friday, but also Saturday evening. On Friday night the hotel also welcomed the late Amy Winehouse’s mother, Janis, and her husband Richard to the hotel. They were thrilled to attend and spoke passionately of the struggle of Bryony Fry, the young artist from Southampton who had supported the Amy Winehouse Foundation many times in the past, but now found herself in a dark and difficult place. The couple donated prints for the auction and announced they would match the funds raised that night for Bryony. The auction followed an excellent performance by Laura. The Mayor of Shanklin, Steve Knight, also attended the event and spoke enthusiastically about the hotel owners, Arina and Dino, and what they have managed to achieve. Saturday night saw a repeat of the concert to a packed house and two prints were also auctioned off. All in all it was great weekend for the many who attended and the £1,600+ raised will be split between Bryony Fry and Shanklin charities.